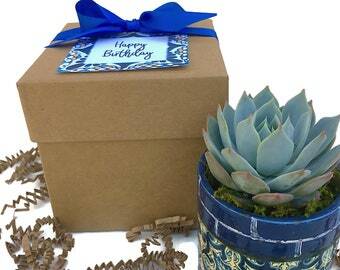 Beautiful glazed ceramic elephant pot, perfect for a succulent arrangement, centerpiece or home decor. 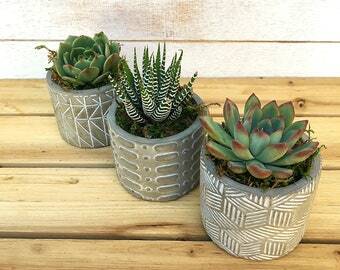 This listing is for the pots only, select 1 or a set of 2 from the drop down menu at checkout. 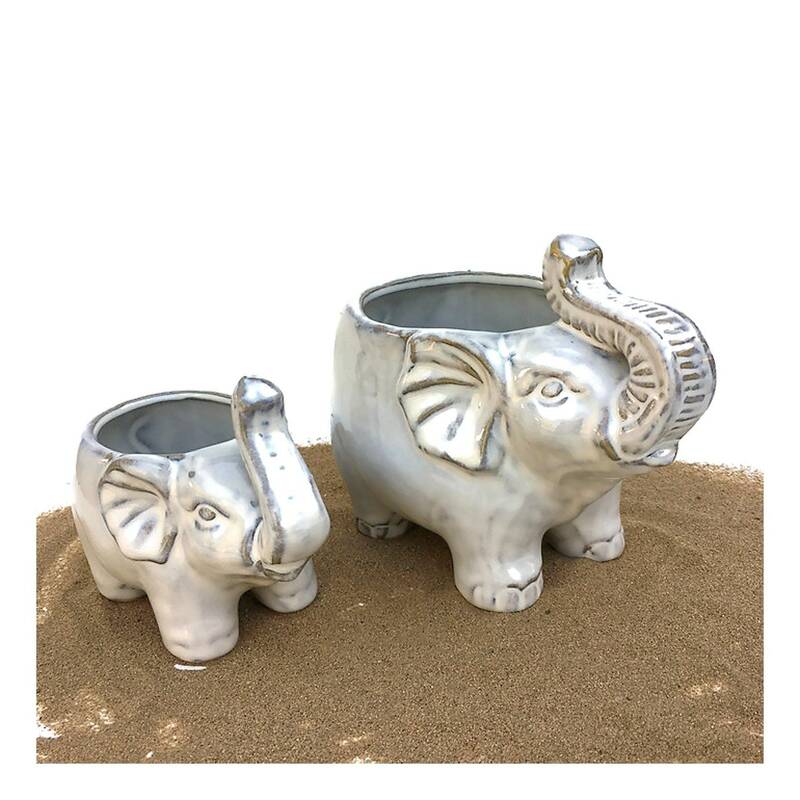 An elephants with trunk up symbolize good luck and success - makes a perfect gift, or desk decor. The small glazed ceramic elephant pot is approx. 5" x 3" x 4" (W x H x D). Solid bottom (no drainage opening on bottom of container). The large glazed ceramic elephant pot is approx. 7" x 4" x 5.25" (W x H x D). Solid bottom (no drainage opening on bottom of container).